Dietary Supplements are not mandatory for all pets. Yet, by definition of any dietary supplement, that bottle of vitamins and minerals are there to do just that – supplement your pets’ diet. Supplementation should not be confused with feeding your dog a full meal by any means. You can’t just expect to feed your pet a pill and expect everything to magically be perfect. Do your homework and take the dive into this article to learn more about how dietary supplements can help your pets. Over the past several years, supplements have become more and more recognized as a valuable addition to a pet’s diet especially for those animals that are not in the best of health or are in old age. Pets who suffer from arthritis, digestive problems, joint problems, or even an inactive lifestyle can reap the benefits of dietary supplements. The top two most common supplements are joint health and skin and coat supplements. If you’re like me and helped raise big dogs like Dobermans, you probably know what I’m talking about. In most cases there’s not enough glucosaminoglycans (GAGs) in your pet’s food to properly support the cartilage cells and skeletal structure of its body. 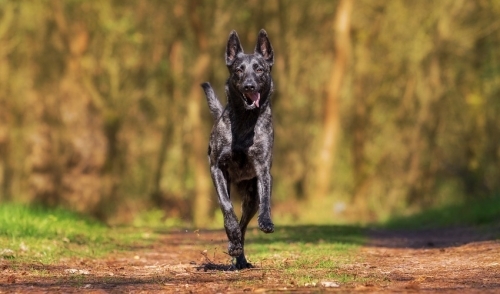 However, Chrondritin or Glucosamine supplements can help support the joint health of larger and older dogs. Many pet owners really strive to keep their dog in tip-top shape and looking young. This means the skin and coat of your pet must be healthy and strong, not weathered or grey. To fight skin tags, shedding, maintaining healthy looking skin, and a shiny coat of fur supplement your pets diet with supplements that contain essential fatty acids such as omega-3s. Omega-3s in particular are important because they are in low stock within most processed pet foods whereas the omega-6s are in an overabundance. 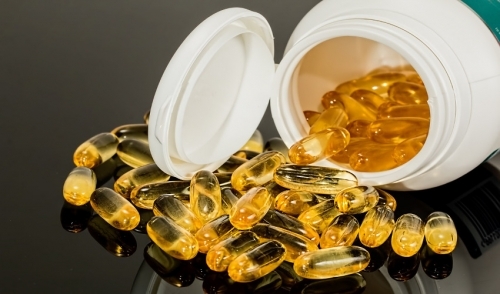 Some examples of good skin and coat supplements include salmon oil, or even fish oil you can get at the local pharmacy. Other ways your pet can reap the benefits of using pet supplements is improving their GI tracts and heart health by using pet probiotics or coenzyme supplements. Another important reason why pet supplementation is important is because of how processed our pets’ food can be. Many of the essential nutrients within processed pet foods are washed out or decreased in the process of making the product. Supplementation can help by filling in the blanks where your pet needs extra vitamins and minerals. Make sure to consult with your vet when considering supplementation. Don’t risk giving your pet too much when it already has enough. Speak to a professional about what’s going to best improve your dogs’ health and act on it. Protect you pet and use supplementation so that it can stay in the best shape.